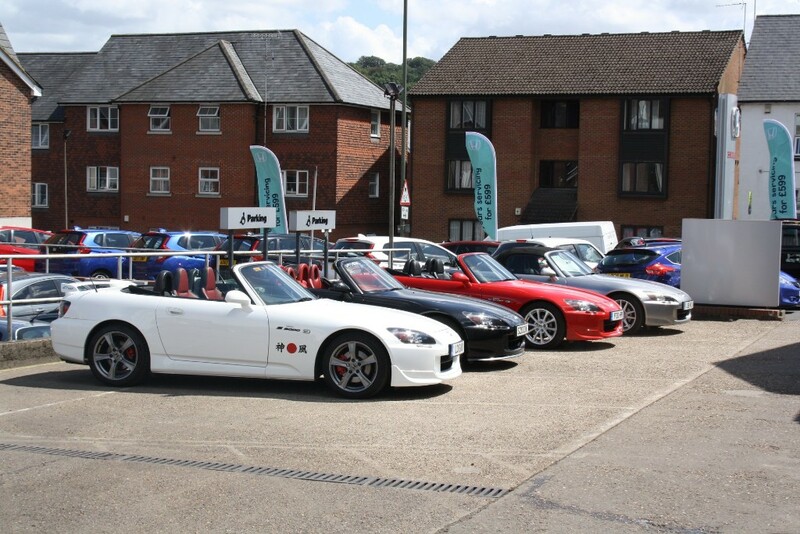 With a Bank Holiday weekend it was the perfect opportunity to organise an S2000 driving meet. As usual there was great enthusiasm within the group no matter the age. 12 cars in attendance with 13 owners. Most were NI owners but others also journeyed from NE England, Donegal and 2 members from Cork and Limerick making the 5 hour drive north! Ages ranging from 25-70. Starting just north of Belfast it was a 2 night/3 day weekend based in Coleraine on the North coast of Northern Ireland. 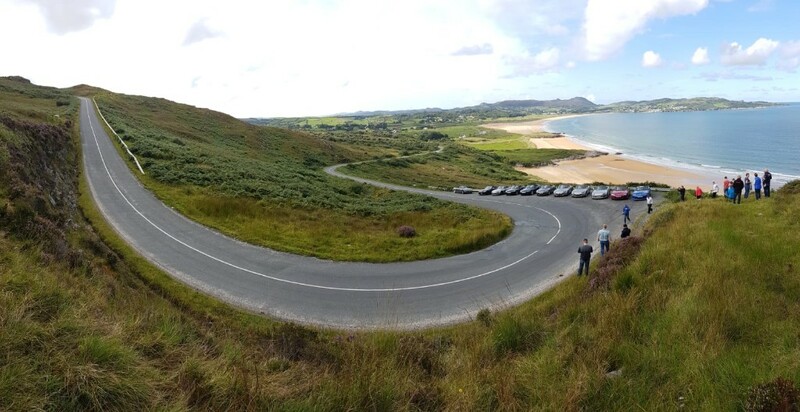 The Friday drive took in the famous Causeway Coastal route. 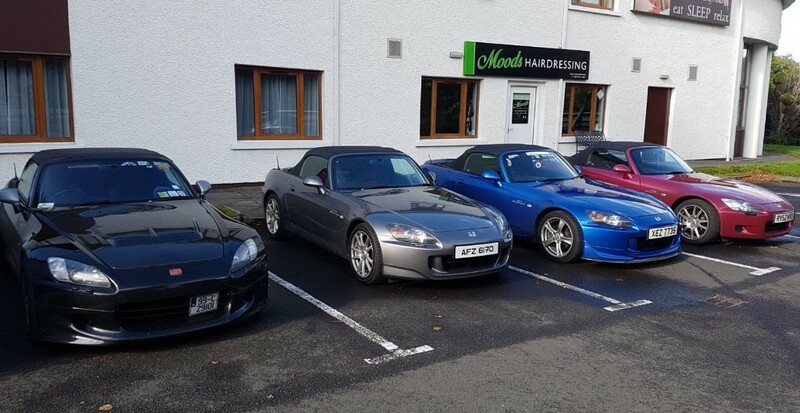 A fantastic driving road with a great mix of twisties up into the Glens to enjoy our car’s driving ability. Instead of the normal 60-70 mile distance, our day was 140 miles! The route took in some viewpoints, most notably Mount Slemish where St Patrick (a Welshman) tended sheep and various hillclimbs along the way. The quiet nature of the roads involved made for some great driving. The mix of photo and coffee stops allowed for the usual social aspect which is as big a part of these meets. The Saturday drive left Coleraine and headed further north. Stopping at Gortmore viewing point overlooking Foyle Lough and Donegal. The plan was to do Eagles Rock hillclimb up Binevenagh mountain in the morning, alas our date coincided with the actual event. They were keen to enter us all in the event! Again very quiet roads with staggering views. After coffee we headed for Ramelton in Donegal. 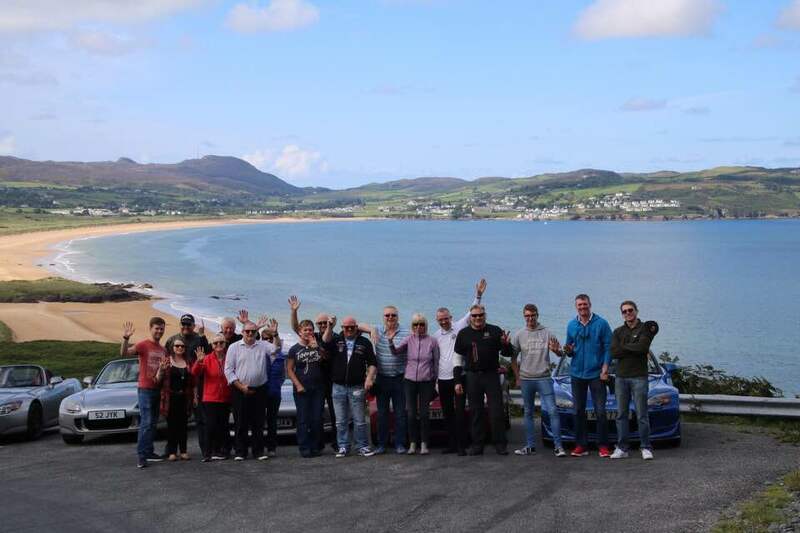 Our ultimate venue being the famous Knockalla rally stage which overlooks Ballymastocker beach near Portsalon. In fairness Donegal is loaded with a great mix of very secluded roads and beaches but too many for today’s drive. Very much on the to do list. 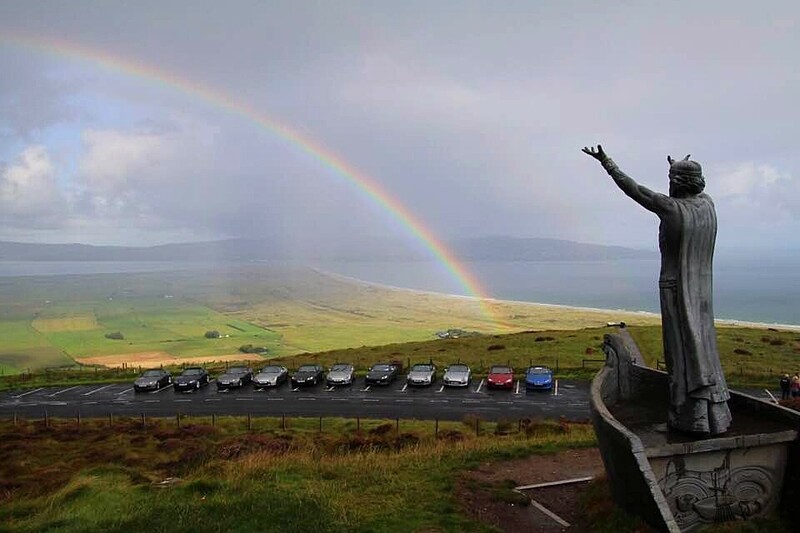 If you ever visit Donegal make sure Knockalla is on your bucket list, it’s an awesome piece of tarmac to enjoy driving an S on! The scenic views are an added bonus, but you’ll be too busy driving! The evenings involved too much fine dining which is as much part of the weekend. (The odd refreshment is taken too). The craic and banter is ongoing all weekend. After breakfast on Sunday morning all the goodbyes were said and everyone started their journeys homeward. What was very evident was the enthusiasm for the next time we organise one of these weekends. 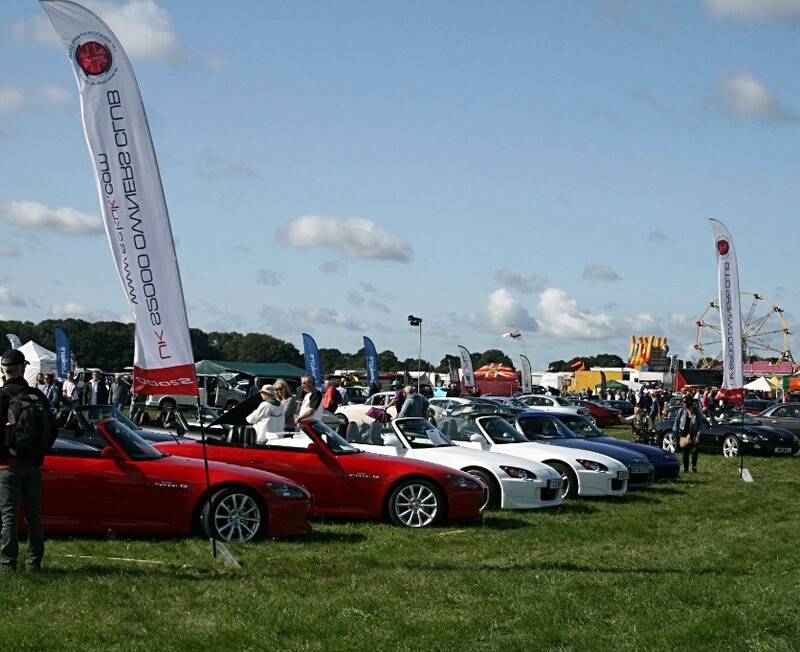 Several are off to Megameet in Cumbria next month, and are already looking forward to that. 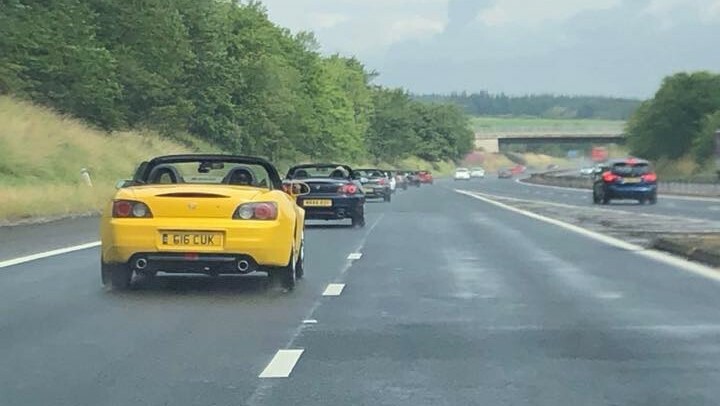 The rain only put a couple of people off and with a total of 12 cars from across Scotland. 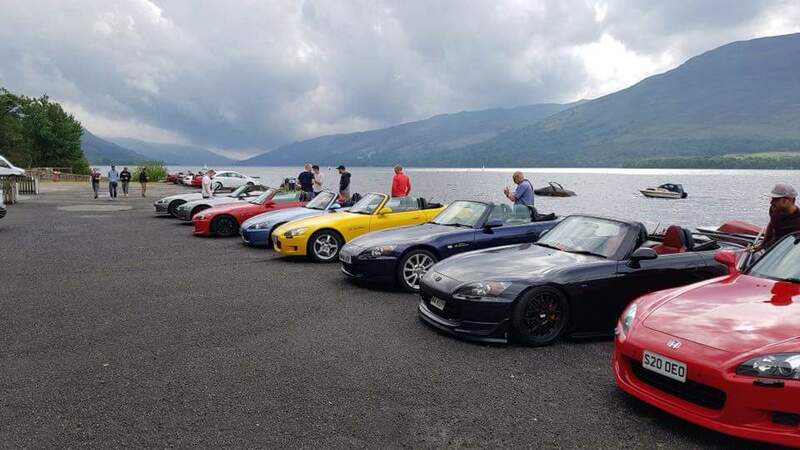 The guys and girls made their way from Stirling around some beautiful scenic roads around Loch Tay, similar to the Scottish Megameet in 2016. The wildlife was out, with Blair having to swerve to avoid a red squirrel at one pont! 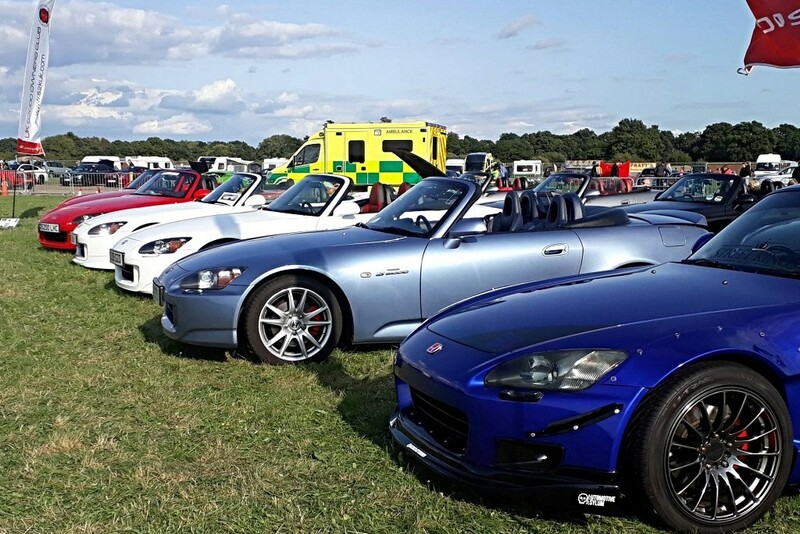 It firmly establishes the S2000 as a modern classic to be invited each year to the Cranleigh show. 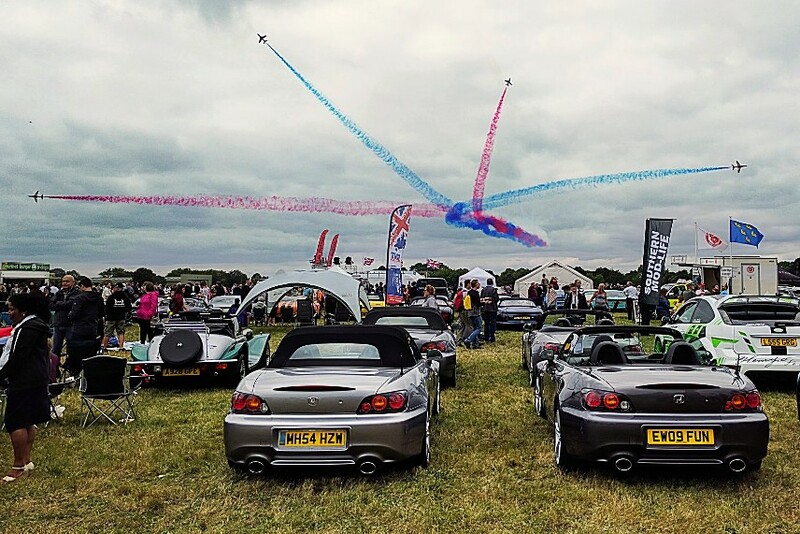 Set on the Cranleigh showground in the heart of the beautiful Surrey countryside, this is one of the largest Classic Car shows in the South of England. We had an excellent pitch this year, flanked by Jags. Rolls Royce and other iconinc marques. 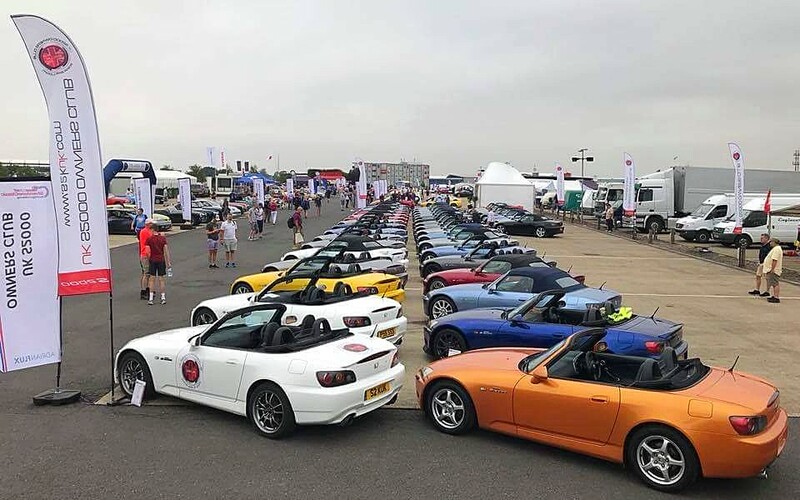 The weather wasn't kind and we spent much of the day dodging showers, but the one thing that won't put off convertible sports car owners is the British weather ! 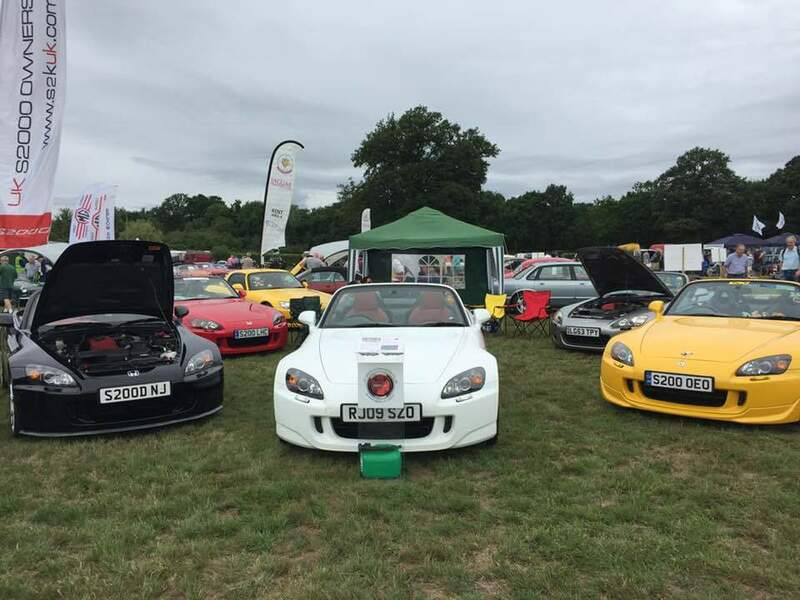 A mix of seven cars were on display, including two different shades of yellow. 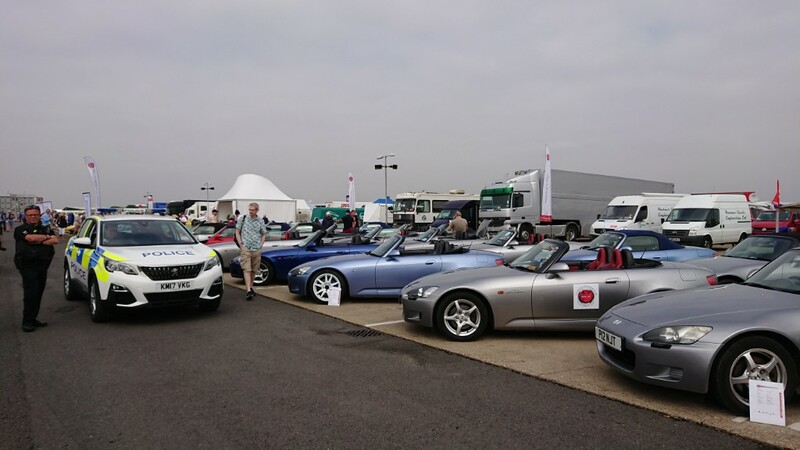 As is usual for this event, we were swamped with so many enthusiastic visitors who wanted to know more about our cars, many hoping to buy one in the future. This show gets bigger and better every year so we'll be certain to be back again for this one in 2019. 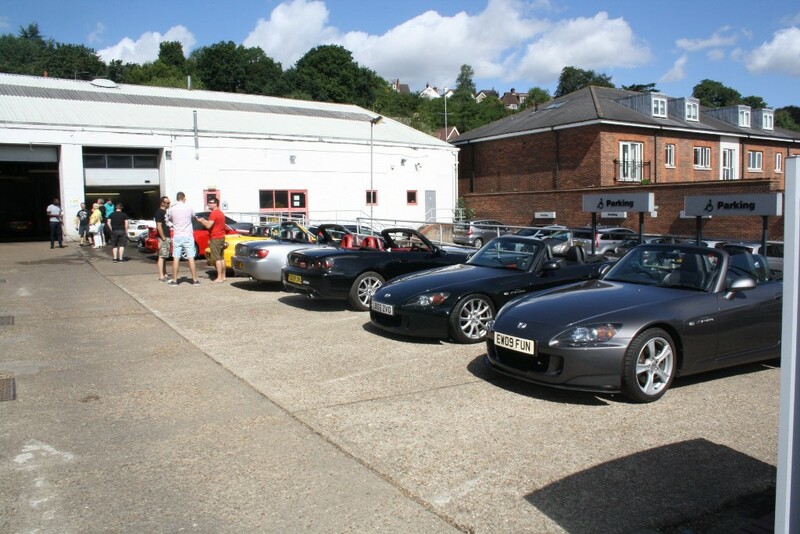 It was very kind of Honda Redhill to once again open their workshop to us on a Saturday morning! 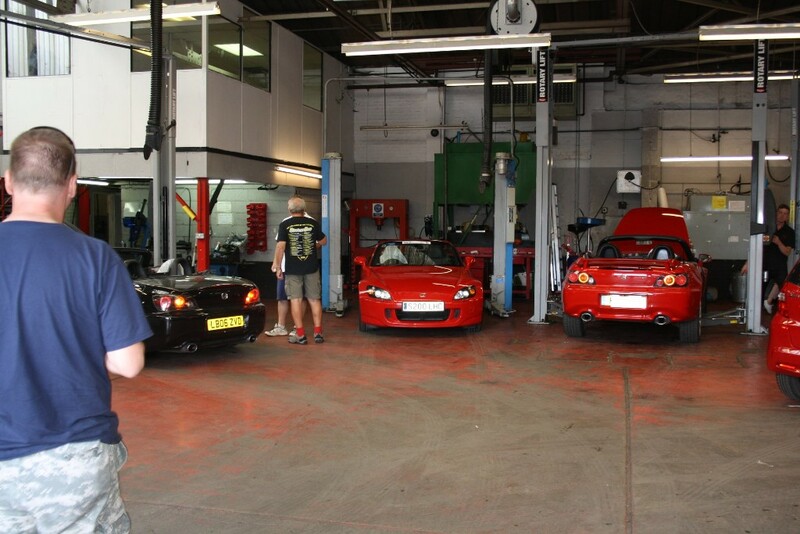 They were on hand for advice whilst members could tinker with their cars, have a good look over (and under!) them, whilst chatting to each other. They put on special deals for the day too! 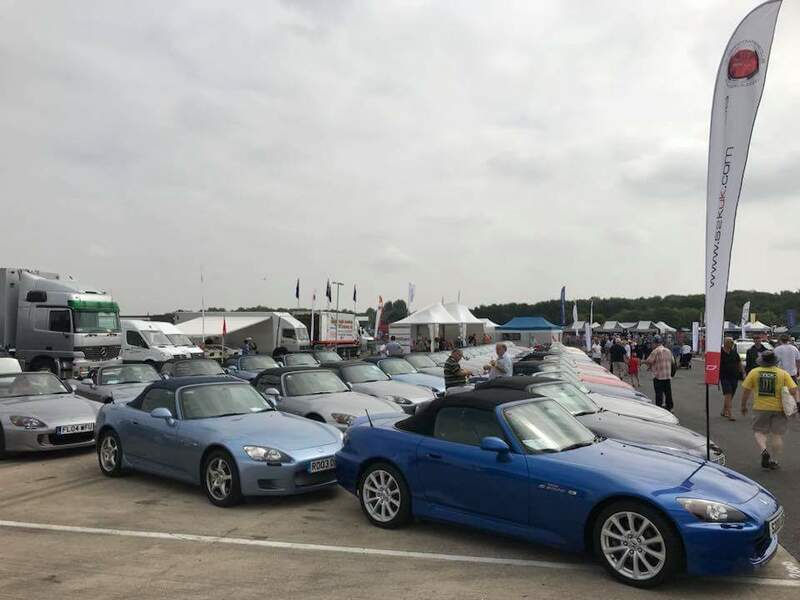 Following the success, another event is going to be held early next year so cars can be given the once over before departing for Euromeet next May! 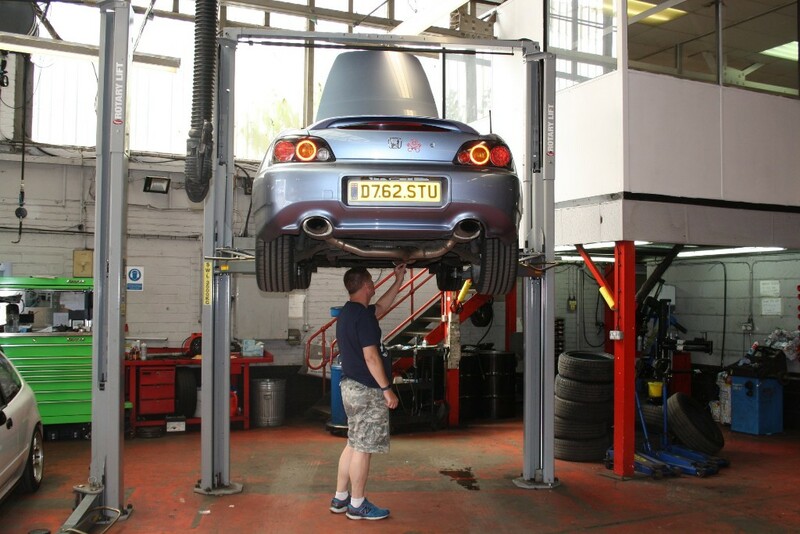 If you think your local dealer, or an independent garage could be up for something like this, then put them in touch! 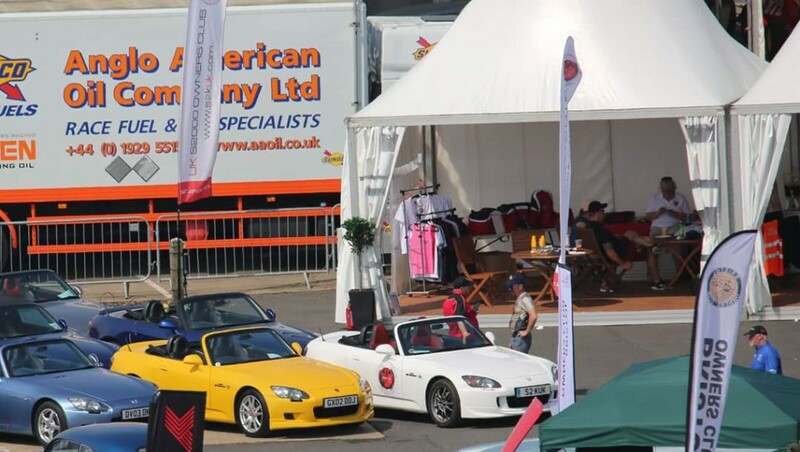 A firm favourite in the S2KUK calendar, Silverstone Classic definitely delivered once again. 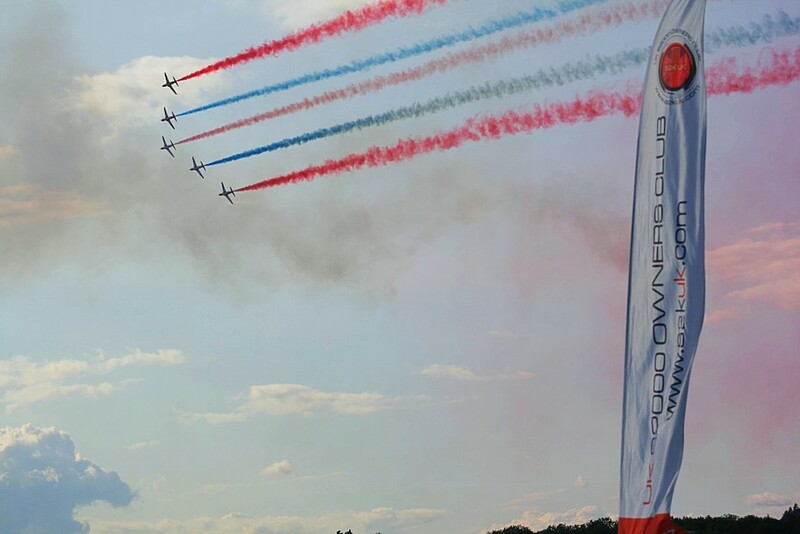 There is always something for everyone at this three day event: an incredible selection of historic motor racing from historic F1 through to Super Touring cars; high speed demos from modern F1 and World GP bike legends; unrivalled free paddock and unrivalled free pit access; free grandstand access; a huge variety of club displays *and* live music from Soul II Soul and UB40. 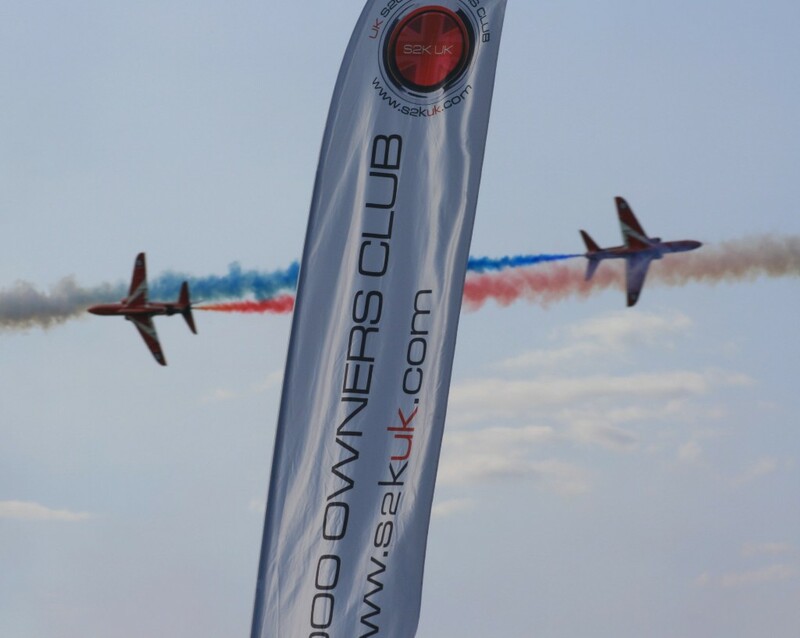 Club members took advantage of our usual 2 for 1 ticket deal along with free food and Pimm's on our stand which was ideally located near the shopping village and Paddock. 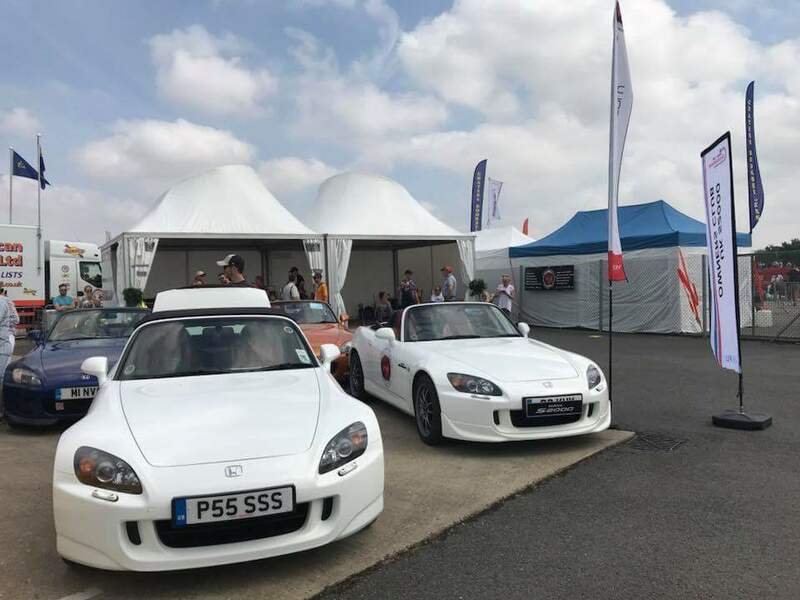 This year was particularly special for us as, to celebrate 70 years of Honda, we were invited out on track for a parade lap which saw the 50 S2000s on our stand, in colour order of course, take on a lap of the iconic Silverstone circuit, with the GT40 club hot on our tails! 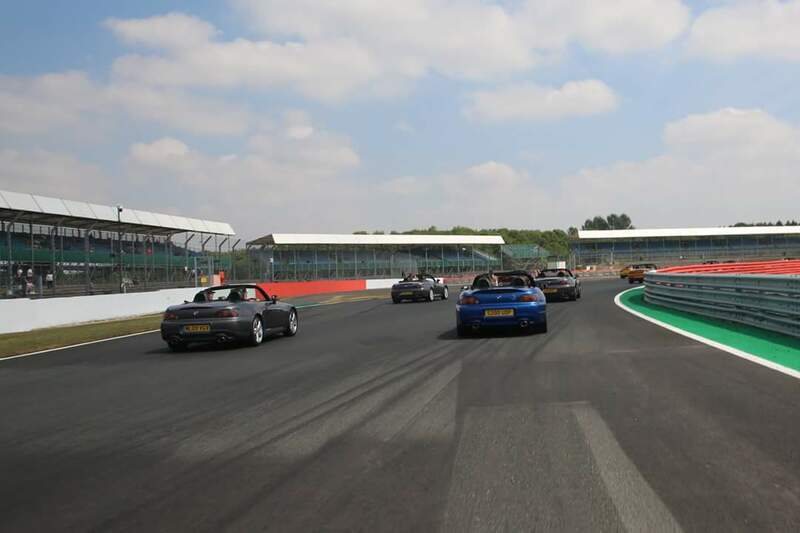 Provisional dates for the Silverstone Classic in 2019 are: 26 – 28 July. It’s definitely one for your calendars! 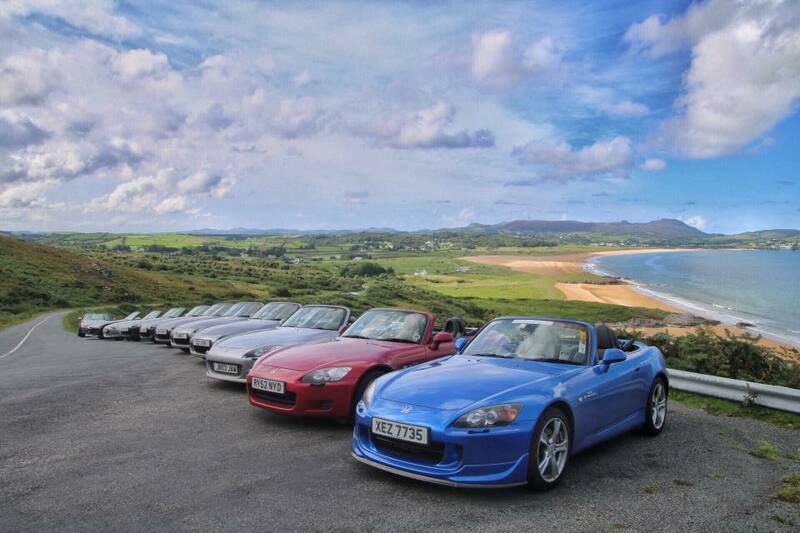 AND it'll be the 20th anniversary of the S2000!